Last updated on April 24, 2017 April 25, 2018 by Daniel Waldron for Armagard Ltd.
You can be the biggest supporter of digital signage on the planet, recognizing the benefits of taking your company in the direction of digital. However, if the key decision maker doesn’t see the value, there’s no digital signage project. The question is ‘are you answering the questions that your CEO is asking?’ Probably not. Convincing the boss to commit to a digital signage project requires tact. Simply bombarding them with requests to implement digital signage, because that’s what competitors are doing, will doom any project before it gets off the ground. If you want to open doors to digital signage implementation, remove your enthusiasm & think like your CEO. Have you heard their concerns? Can you rebuff those concerns? You: “Like all our IT systems, which help us to implement things more promptly and speed up some of our processes with minimal risk and cost, digital signage serves a similar purpose. That ‘keeping ahead of our competitors’ I mentioned, well operationally digital signage will reduce the amount of time it takes us to market our new products, services or promote our brand, giving us an edge. Note: When choosing a digital signage provider ensure that they are flexible enough to cater for your requirements. Why not ask Armagard about an on-site assessment? You: “Yes! Digital signage provides easy access information about products and services, helping to influence the decision making process and keep them updated about what we’re doing as a business. 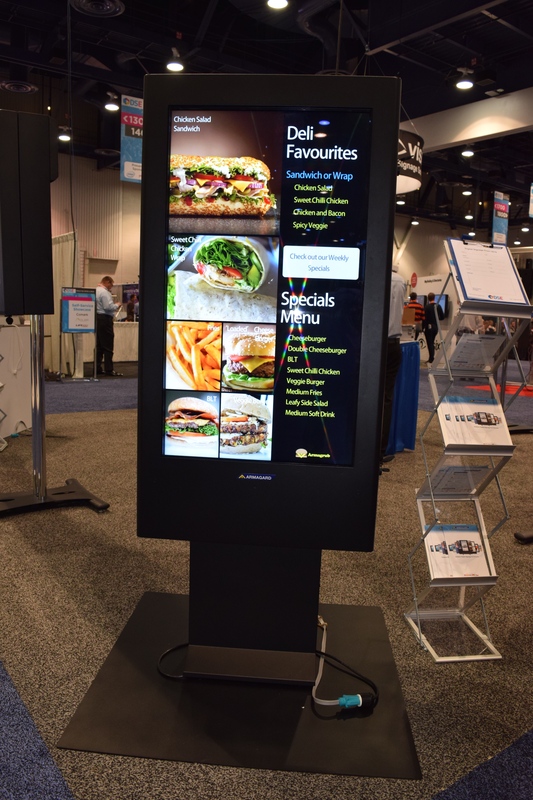 The likelihood is that digital signage will move towards mobile interaction, enabling customers to communicate between digital signage and their mobile phone. Note: If digital and mobile are to co-exist, your digital signage project has to be audience centric right from the start. If it’s of no benefit to them, your customers will give it no attention regardless of how much money you invest in it. A solution: How can digital signage co-exist with tablets and smartphones? 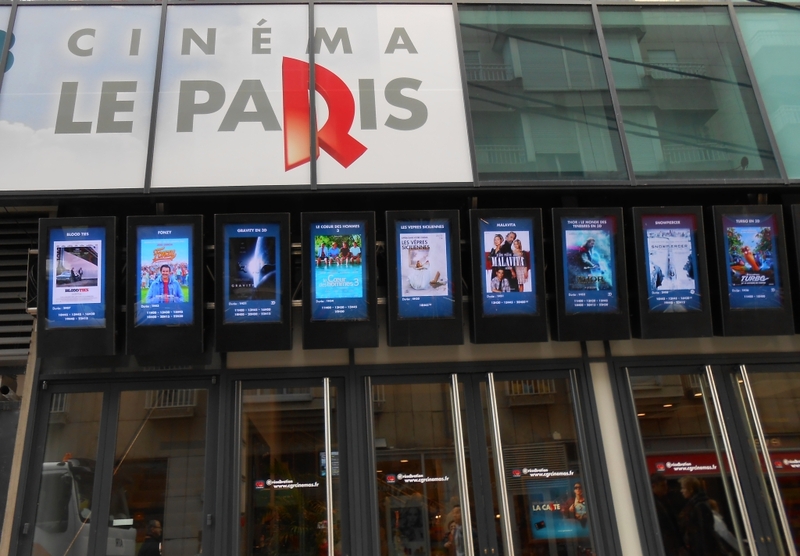 A particular digital signage advertising campaign may feature content with a QR code, which can be scanned by a smartphone, pointing customers to a particular promotion. This links customer to business and informs that business that a customer is in the vicinity. You: “Yes. To make sure we increase the ROI appeal, I’ve researched the diverse ways in which digital signage can be used. The technology available allows us to manage our messaging conveniently and remotely. We can set start and end dates for particular campaigns. We can stream videos, display social media feeds in real time and a digital signage enclosure can help to maximise the efficiency of our displays, allowing us to take screens outdoors to advertise, whatever the weather. With an enclosure we can control temperatures and prolong the life of our digital signage network, cutting costs on maintenance, repairs or replacement. We will also reduce the risk of downtime. You: “We can assemble our own in-house team or request a supplier to install our digital signage network. I’ve covered everything from connectivity, right through to maintenance once we’re up and running. Note: Showcasing your research will increase the chances of your CEO trusting you with the finance to fund a digital signage project. You: “Honestly, a project of this magnitude does have an element of risk, but the risk is outweighed by the benefits. Perhaps the biggest risk is failing to establish relationship with smartphones and tablets, which can help to enhance our promotional efforts. If your CEO still has doubts about digital signage, put them in touch with Armagard. Ask them to call 1-866-434-0807, for professional guidance from an award-winning company with over 20 years of experience in the industry. If you’re a manager, what objections are you facing from your CEO? Are there questions being asked we’ve not covered? If there is, let other readers know what it takes to get support for their project.